“When it came time to sell my home in Deepwell Estates, I chose to work with Jesse and Romina. Previous experience with them by friends impressed me, and with my sale, they surpassed every expectation throughout the process. They are savvy about the market, consummate professionals, with an eye for attention to detail that is rare to find among agents. From the listing, to the marketing materials and photography, to their dedication to expanding the potential buyers' pool both via traditional and new media approaches, they generated phenomenal interest and traffic to our home. In a market where houses take months to sell, Jesse and Romina's commitment to our sale put us in escrow in just over two weeks. They were caring, compassionate, and responsive throughout the escrow period, making sure that every aspect of the deal was scrutinized, evaluated, and settled to my satisfaction. To say they went above and beyond is putting it mildly. They were available 24/7, and because of their efforts, escrow closed on time, and at a great price. “Let me just say, Jesse & Romina were awesome!! "Jesse was the penultimate professional in every way. He handled all aspects of the transaction for us quickly and effectively and never failed to respond timely to our requests for information or action, regardless of the time of day or day of the week. On top of that he has a very genuine personality, making him a true pleasure to work with. Service after the sale was impressive as well, and even though we have now moved into our new condo, he continues to offer his assistance with anything that may confront us." "We met Jesse at an open house in November and started talking to him about the current market conditions in the Palm Springs area. It was wonderful that, having been born and raised here, he knew so much about all the different pockets of Palm Springs and all the nuances of the city. Before we left the open house, we felt comfortable and confident that Jesse would handle the sale of our condo in January. Best decision ever! He is a seasoned agent, so has the knowledge and the expertise to have gotten us through a contract of the sale of our condo, and soon thereafter, the purchase of another property without any surprises. His responsiveness to any questions or concerns we had was always met with timeliness and respect. He always seemed to prioritize our needs regardless of how much he had going on. We couldn’t have been happier with the service he and his team gave us and we look forward to referring Jesse to our friends who are looking to purchase in this wonderful place!" "My husband and I met Jesse and he guided us through purchasing our dream house with honesty, respect, patience and incredible support. Having grown up in Palm Springs, Jesse's knowledge about everything Palm Springs was invaluable. 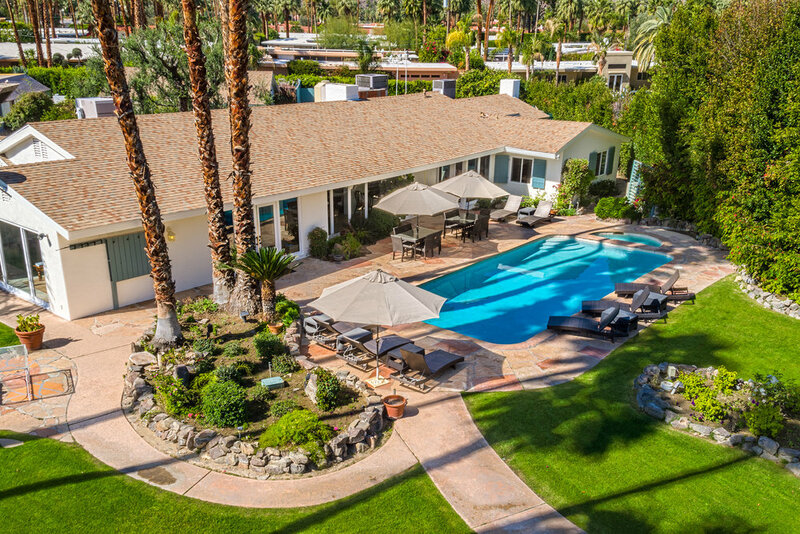 He provided accurate and helpful information about the market and home ownership in Palm Springs. He consistently went above and beyond to help us in so many ways. He was warm and kind and a pleasure to work with, and we are extremely pleased with our purchase. " — Jim & Vicky C.
“I've shopped in many cities over the years and have never had a better agent. My sister, a Reemax agent in Colorado, selected this team as top-notch when I wanted help to buy for investment in Palm Springs. Smart, extremely knowledgable about his real estate markets and property matters Jesse was quickly attuned to the issues which I cared about. He is responsive, resourceful, expert and a pleasure to work with. In my experience I great real estate agent is hard to find. I would shop with Jesse anywhere. Value added Jesse is truly one of the best!" "Jesse was a pleasure to work with to sell our property. From the first time speaking with him to list our property until the end of escrow he was available. His knowledge and his excellent personal skills were impressive. We were always kept informed every step of the way. If we had any questions or concerns he was there with the answers. We feel he is honest, very knowledgeable and very professional. He's the best Realtor we've worked with and it was a pleasure."